How are you all today? 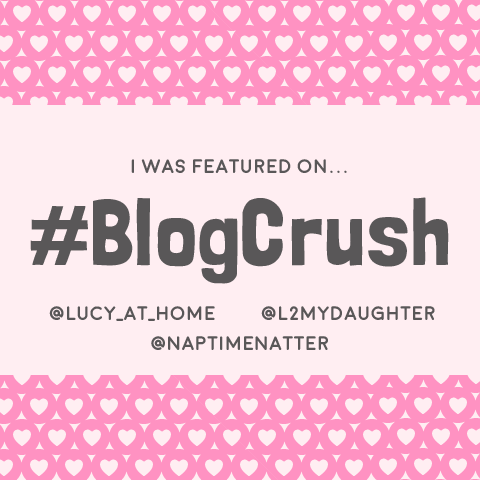 I thought I would do a post on my favorite products to use in the bath and shower. 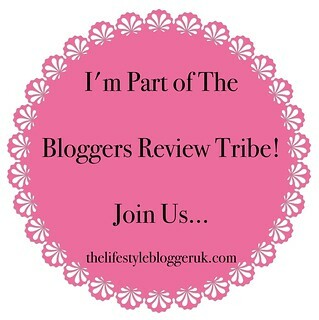 I love reading these posts so it's defo one I've been planning for a while. It's no secret I'm a huge lover of Original Source. Ever since I discovered their coconut one I have been trying them all. The pink grapefruit is great in the morning to wake you up and the cherry I like at night as it's subtle. femfresh is a brand I have used for years and I think every woman should be using it. 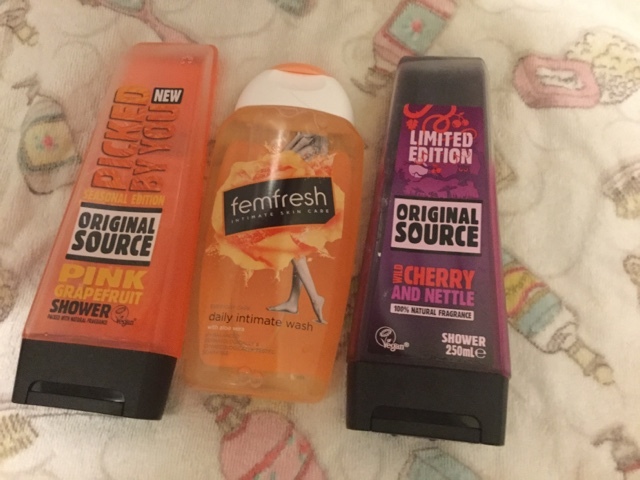 Let's face it, our intimate area deserves the best so I always use femfresh in the shower. I love the smell, it's so fresh and knowing it's not going to cause any harm just makes me feel good. It's all to do with it having the perfect ph balance for you. 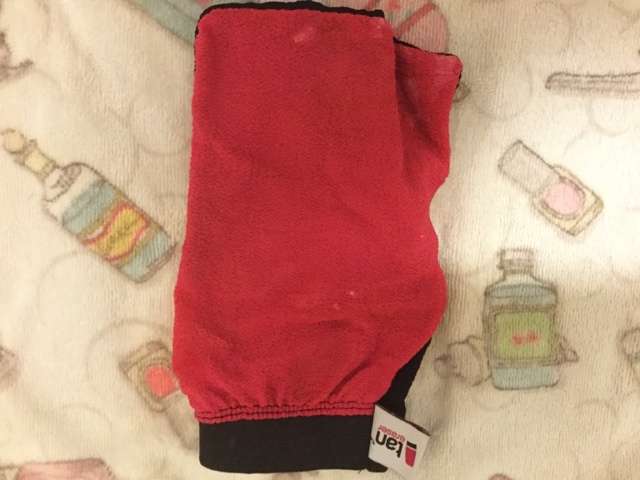 Oh and have you tried the wipes for on the go? Perfect for summer, chuck them in your hand bag for a quick freshen up. I find it strange when women get funny about the whole buying intimate care products. 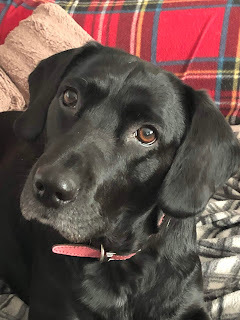 Come on girls we have to look after our lady bits, for goodness sake you look after the rest of your body! 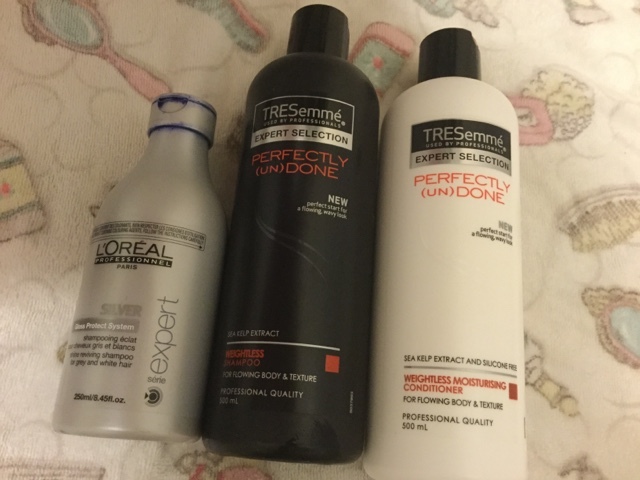 I have loved L’Oreal professional silver shampoo for as long as I can remember. This is a life saver for a blonde like me. It really banishes the yellow tones leaving my hair clean and blonde again. I tend to use this once a week. I love having tousled hair in the Summer - the beach babe look. So when I stopped using the Tresemme perfectly (un) done shampoo & conditioner, I had to get it. It cleans my hair great, it doesn't weight it down, and smells divine. The conditioner is amazing too to get some moisture back in to my hair. One a week I like to give my hair a really nice treat. Enter my Argan oil shampoo & conditioner, these are only £1 in pound stretcher, but I love them from the way they clean my hair, to the way they smell. 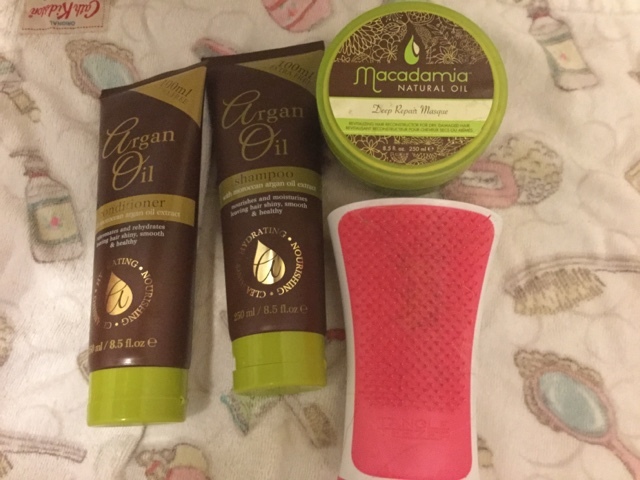 I love Macadamiaoil deep repair mask to instantly hydrate my hair. By far the best mask I have tried. I like to brush it through with my shower tangle teezer. If it’s a leg hair removal day, which if I'm honest this lasts about 10 days for me, I use Nair Hair removal cream. 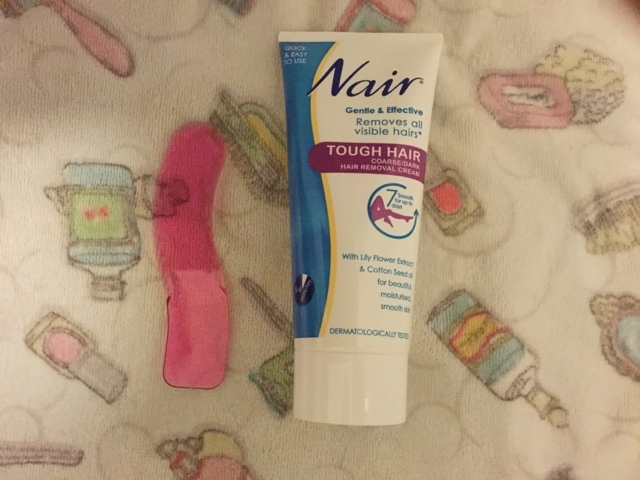 It's a miracle worker for me - no more shaving cuts and super soft silky legs in 10 minutes. I normally do this before I jump in the shower. The new style spatula is so much better for reaching hard to get areas. 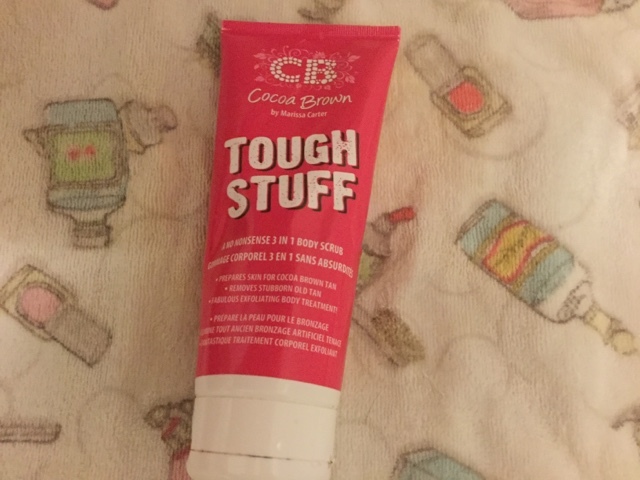 On ever 3rd day, I body scrub and there is nothing better than this cocoa brown Tough Stuff. It makes easy work of exfoliating and smells delish. . 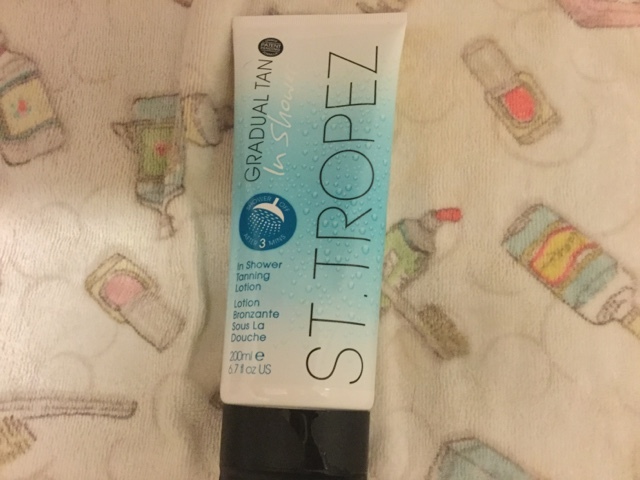 This StTropez is new to my collection. To be honest I'm still getting used to it. I think it would be better for fairer skin. As it’s a bit too light for me. I'm not too keen on the standing and freezing for 3 minutes whilst it works its magic, but I'll keep going with it atm. So I'm lazy when it comes to body moisturiser, I'm the first to admit this but since Nivea introduced this in-shower cocoa butter my life has changed, I love that you slap it on and rinse off and you’re done. If I don't use this, I use oil as I'm getting out of the shower and then towel dry. 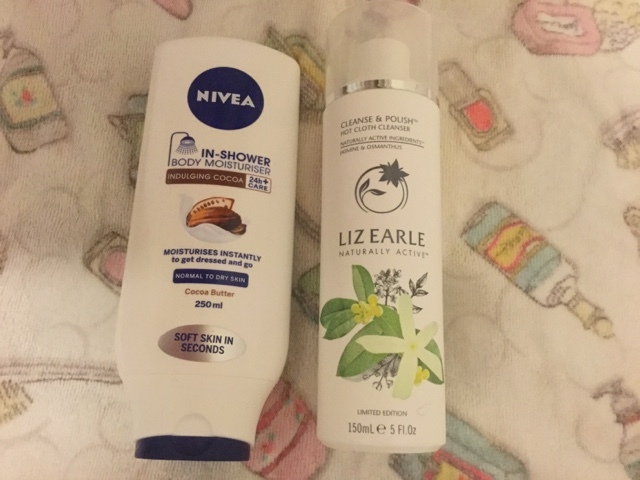 Of course you know how much I love my Liz Earle hot cloth cleanser and this is a must for me it removes everything I have every had to battle to remove ie black eyeliner. This is the nest smell ever too. So how many of you have had a streak or two with rushing round trying to slap on your tan and dashing out the door? Well not any more, you need to get your hands on this cleaver glove from tan eraser which has different sides to help get rid of the streaks in a jiffy. Last but not least, Lush bath bombs. 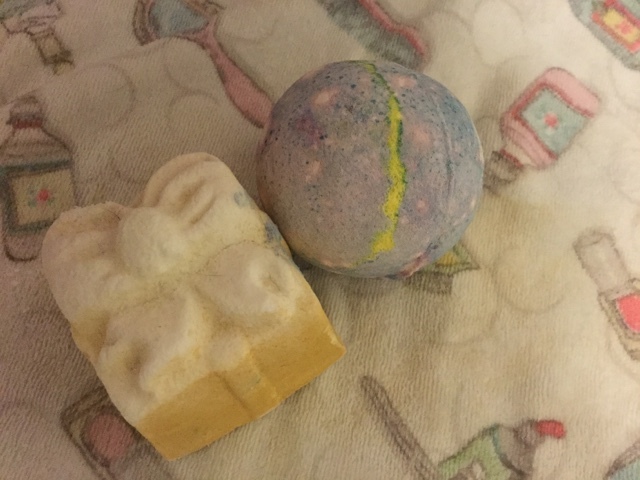 I have far too many to count, but these two have been my keep-for-a-special-bath ones. I love them (unless they are lavender). So what's your shower routine?